Discussion in 'Cables, Speakers, Accessories For Sale / Trade' started by bflat, Oct 3, 2018. 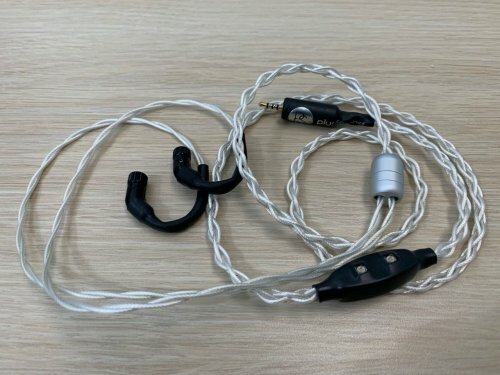 For sale is a Plussound cable for JH 4 pin connector with bass tuning module. 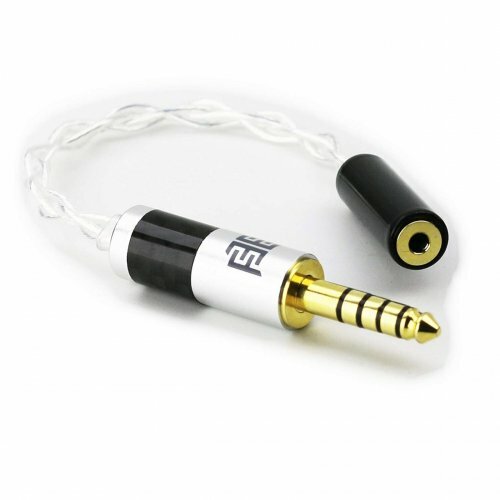 The wire is cryo silver gold alloy that gives you all of the audio benefits of silver, but with the flexibility and non-tarnishing properties of gold. The configuration is 4 wires, but the internal Litz bundles have been separated into 2 sets of internal wires (8 total) so you get the full benefit of the bass tuners but the lightweight of 4 wires. The termination is 2.5mm TRRS balanced. Measurements - 46 inches end to end, 12 inches - Y split to top of connectors. Price is $299 inclusive of PP fees and CONUS shipping. International shipping is $10 more. Can you comment on the sonic change with Theseus the stock cables? Compared to first gen stock cables (not from Moon Audio) on my Laylas, the Plussound cable extends the sub bass and upper treble. Any benefit to this over stock cable that comes with late spec Layla 2? My notes above are with the 1st version, but according to JH, there were no changes to the version 2 except for the shell. Thank you and which model are they so I can compare with the plussound website? It is 4 wire EXO with Silver-Gold Litz.